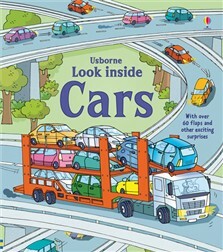 The kids who love Cars will definitely love this book. There are a lot of flaps in the book for the curious kids to open and to learn about vehicles. The context includes types of cars, how to drive a car, history of cars, and the recycling of cars.